In September 1942 the Fort Robinson War Dog Training Center was established. Barracks, classrooms, administrative offices, and other support buildings were located west and north of here. To the east and north was a sprawling kennel area housing 1,800 dogs. The dogs were trained as guard, scout, messenger, and sled dogs. Training normally lasted 8 to 12 weeks. 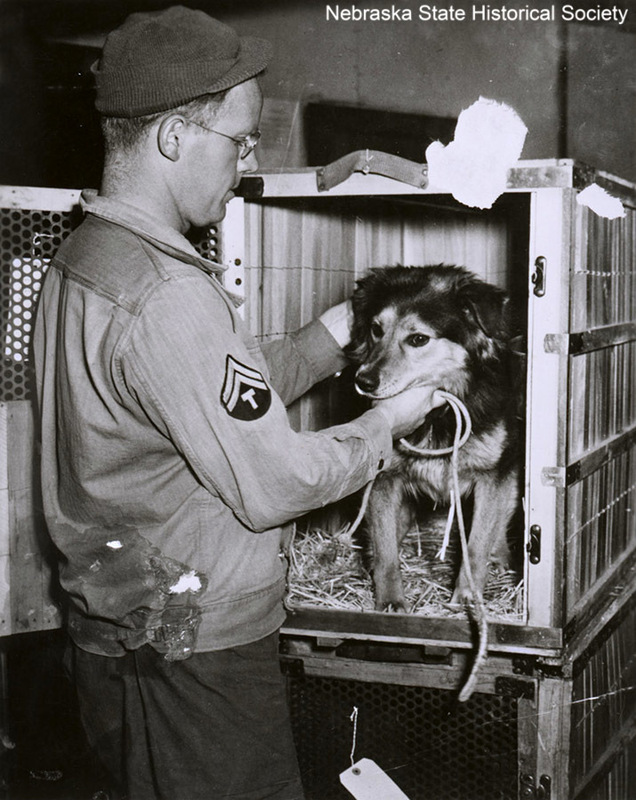 Nearly 5,000 dogs, half the number used by the Army in World War II, were trained here. The center was deactivated in June 1946. “K-9 Training Area,” Explore Nebraska History, accessed April 18, 2019, https://mynehistory.com/items/show/110.